Scientists and academics around the world are tackling one of the biggest issues of our time: climate change. It’s happening globally and locally. Florin Pendea, an associate professor with the departments of sustainability sciences and geography at Lakehead Orillia, along with his undergraduate students, is working with the Lake Simcoe Region Conservation Authority (LSRCA) to see how the watershed can play a role in carbon capture. The LSRCA will be the first conservation authority in Canada to have an integrated model for carbon monitoring. 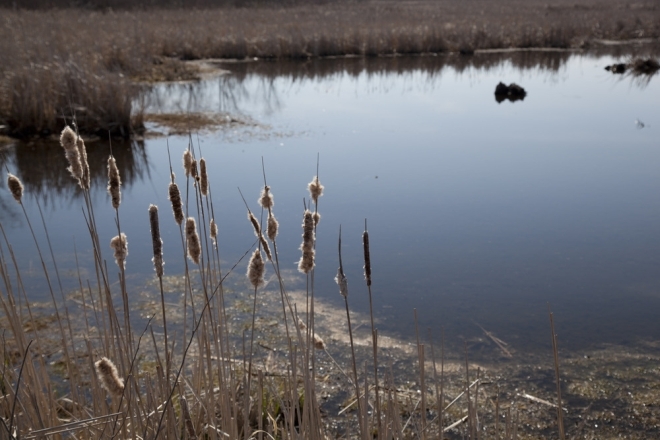 Pendea’s interest lies mostly in wetlands, and the opportunities abound locally as wetlands make up 15 per cent of the Lake Simcoe watershed. “Mineral soil wetlands are totally ignored. There are no studies in Canada,” he said. That is going to change, but it will take some time. Pendea expects to see the research — with Lakehead focusing on wetlands and the University of Toronto examining forests — published next year. The local professor was among more than 40 people who gathered this week to hear Gail Chmura, an associate professor in McGill University’s department of geography, speak about climate change. She told the attendees that as the planet warms, countries like Canada can expect more heat waves, flooding and other severe weather, as well as waterborne diseases. Snowbirds who prefer to winter in southern Florida might want to come up with a Plan B, she added. There are a number of ways to help mitigate the effects of climate change, Chmura said, including reforestation, protecting existing wetlands and possibly creating new ones, and restoring peatlands as well as agriculture and grasslands — all of which store carbon in their soil. While those are all noble pursuits, she feels there should be more of a focus on blue carbon — carbon that is stored in coastal and marine ecosystems. As an example, Chmura pointed to salt marshes and mangroves. During the Pacific Ocean tsunami of 2004, “the mangroves took the brunt of the waves,” Chmura said, preventing even more destruction and loss of life farther inland. There are salt marshes and mangroves on Canada’s east coast, but some of those marshes are threatened by fertilizer runoff from farmers’ fields. Chmura suggested “carbon credits” to encourage farmers to change some of their practices might be a good idea. When an audience member asked about the role freshwater ecosystems — like those found in the Great Lakes Basin — can play in climate change mitigation, Chmura noted there was little research. Pendea said the research he and his students are doing will help change that. He is excited and confident about the results and the role Lake Simcoe might be able to play in the climate fight, but concedes more research needs to be done.